The Department of Information and Communications Technology (DICT) then issued Department Order No. 002 directing the National Telecommunications Commission (NTC) to study and formulate the guidelines that will bring down the cost of interconnection. A public hearing was conducted to enable telecommunication companies to comment and submit their position papers pertaining to the MC. 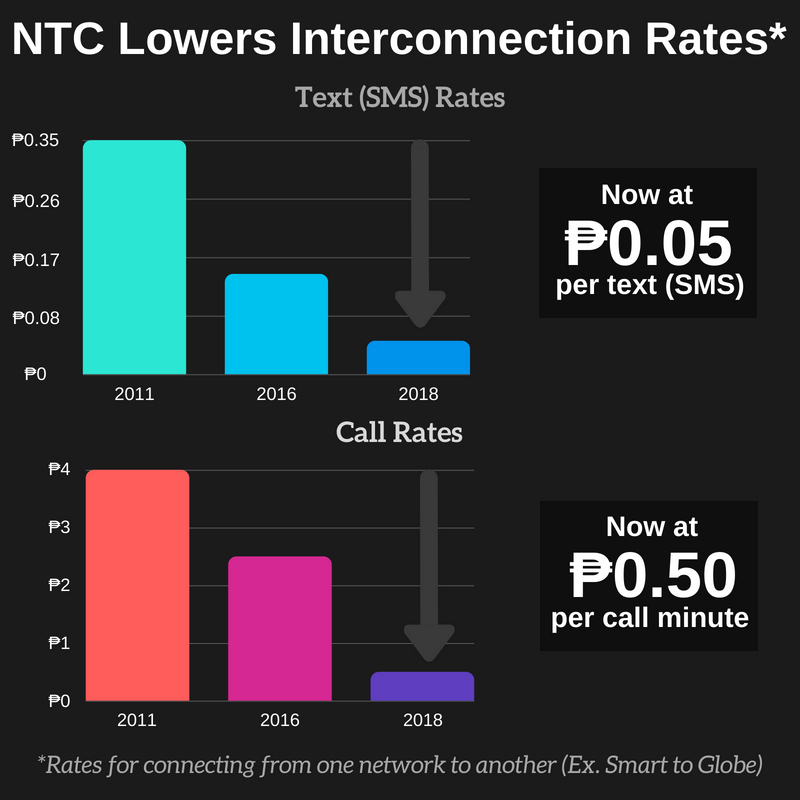 The reduced interconnection rates are expected to benefit consumers across socio-economic classes, making a voice call and SMS services between networks more affordable. This will also allow telcos to attract more subscribers and offer a wide variety of unlimited plans and services. Significantly, the MC will benefit landline subscribers and users of basic 2G mobile phones nationwide, the majority of whom belong to the marginalized sectors of society.